How Do I Add Interactive Sorting in Crystal Reports 2008? 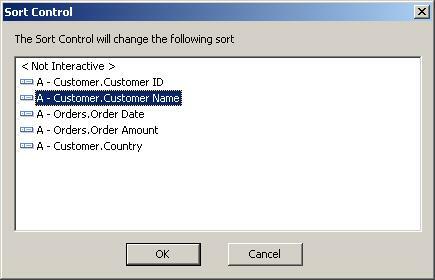 Over the last couple of weeks I have had number of clients ask me "How do I apply an interactive sort to reports in Crystal Reports 2008?" In earlier versions of Crystal Reports, the only way one could add interactive sorting to a report was to use a parameter and a formula, to provide the end user with the functionality to chose which field the report would be sorted on. The only drawback with this method, is that the report would always be sorted in ascending order. 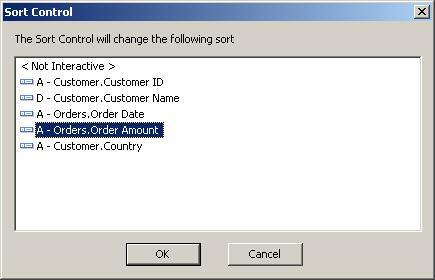 In Crystal Reports 2008, a new feature, the Sort Control, has been added. The Sort Control, not only allows the end-user to sort the report by a number of fields, but also in ascending and descending order.